It has been a long Baltic winter and three tortuous months since I last swung a club, but this week saw the start of the 2013 Press Golfing Society season with the curtain-raiser at the magnificent Worplesdon golf club. With Arctic conditions and 40mph gales, it was supposed to see us dust off the cobwebs – not de-ice them! Golfmadchick has teamed up with our friends at The London Golf Show to give you the chance to win 5 PAIRS OF TICKETS and see some of the biggest names in golf. There is something of the unreal about Le Golf National in Paris. The course is host to the 2018 Ryder Cup, annual French Open and now the unfolding epic of the Wryter Cup. This week it was time for the golfer in us all to step up as my great and worthy Press Golfing Society teammates battled it out against our mighty French APG rivals. Hearty congratulations to my golfing chum Paul Trow … or Gwyneth as he’s fondly known. 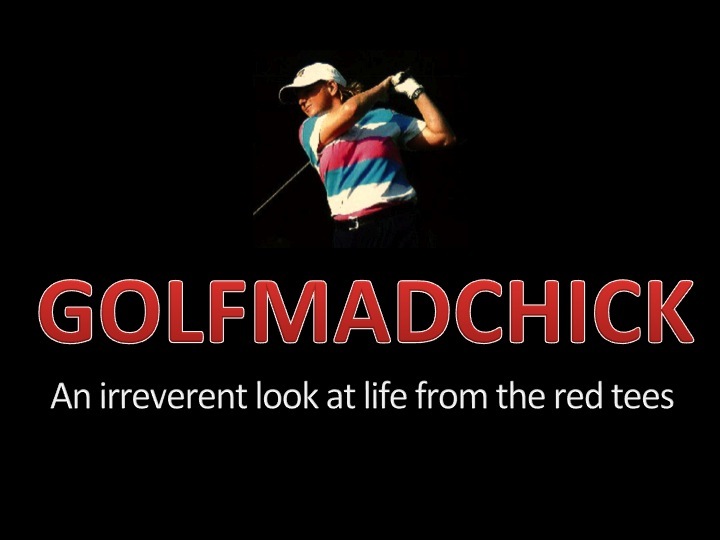 Paul is editor of the brilliant new glossy magazine ‘Arnold Palmer’s Guide to the 2012 Majors’. Majors celebrate and honour what the four special championships have become. Their origins, great players past and present whose careers have been shaped by them, and the marvelous courses that provide the stages for these most theatrical of contests. A severe snap hook is a thing of awesome power and beauty. Just ask my foresomes partner! Share your best captions below or tweet to @Golfmadchick using the hashtag #CaptionThis to send your submission. Check back to see if you’ve won a sleeve of Press Golfing Society Srixon golf balls.